Workers at the facility were hesitant to speak out against Dr. Houlihan, who earned the nickname "the candy man" from his prescriptions, due to fear of losing their jobs. "It is a known fact that if providers or pharmacists refuse to follow Dr. Houlihan’s orders, they will be yelled at and perhaps fired," the memo stated. Elias is considered the "go-to fixer" for Democrats and was behind Soros-backed lawsuits against voter identification laws in numerous states leading up to the 2016 presidential election, including a lawsuit in Wisconsin. Elias was serving as Hillary Clinton's top campaign lawyer at the time he was brought in to help Baldwin. Perkins Coie, which has been on Baldwin's campaign payroll since 2011, was paid $87,779 by the senator's campaign committee for the services Elias provided in weathering the Tomah VA scandal, filings show. Perkins Coie was given a combined $50,994 the five other years that they appear on Baldwin's campaign payroll. "When Senator Baldwin had a chance to protect Wisconsin's veterans, she protected the status quo instead and then called in a high-powered lawyer to clean up the mess," Alec Zimmerman, spokesman for the Republican Party of Wisconsin, told the Free Beacon. "She can get all the help she wants from Hillary Clinton's scandal attorney and the liberal elites in Washington, but Wisconsinites have made it clear they're fed up with insiders who have been part of the problem for decades." Baldwin's office did not return a request for comment by press time. 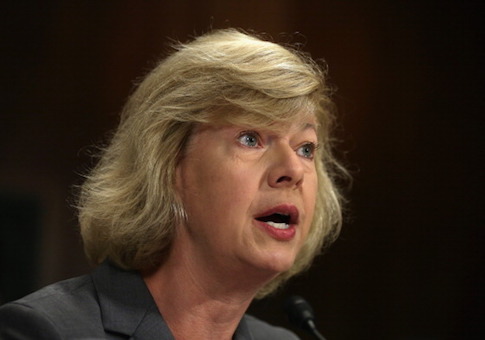 This entry was posted in Politics and tagged Tammy Baldwin, Veterans Affairs. Bookmark the permalink.